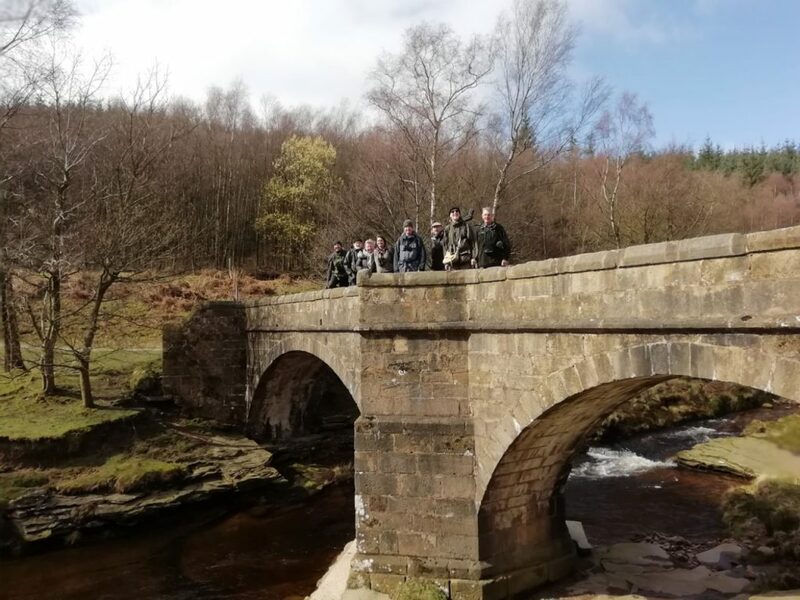 Nine members had a very energetic birding trip in the Upper Derwent Valley in fine but windy weather. 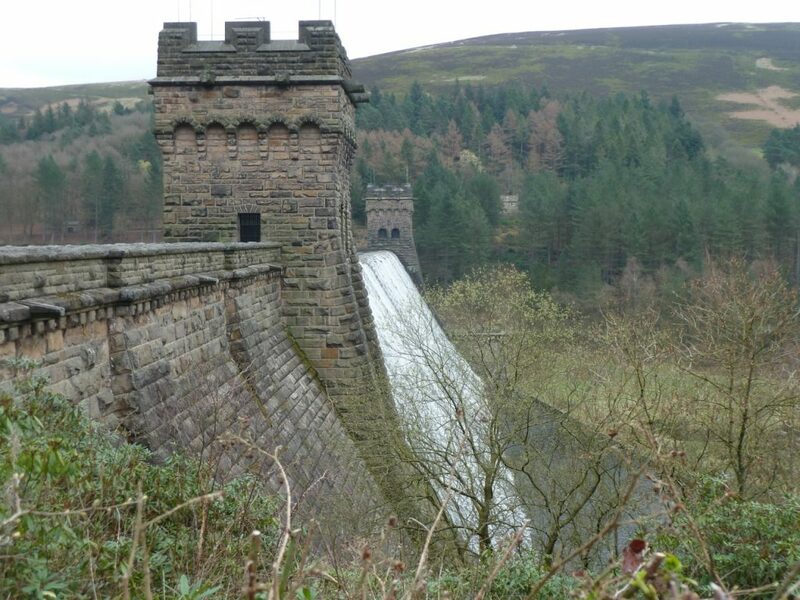 Initially all seemed calm as we spent time by the Derwent Dam Wall waiting for folk to arrive while viewing across the reservoir. Here, a Kestrel showed particularly well as did a pair of Grey Wagtails. When all were assembled, we drove to the road end at the King’s Tree from where we continued on foot to the base of the climb up to our planned high point. As we ascended, the wind increased dramatically and in a misguided judgement, it was decided to go to the top where it was planned to shelter beside the small crags. Upon arrival we found that the only sheltered spot was in a tiny hollow into which everyone crowded. 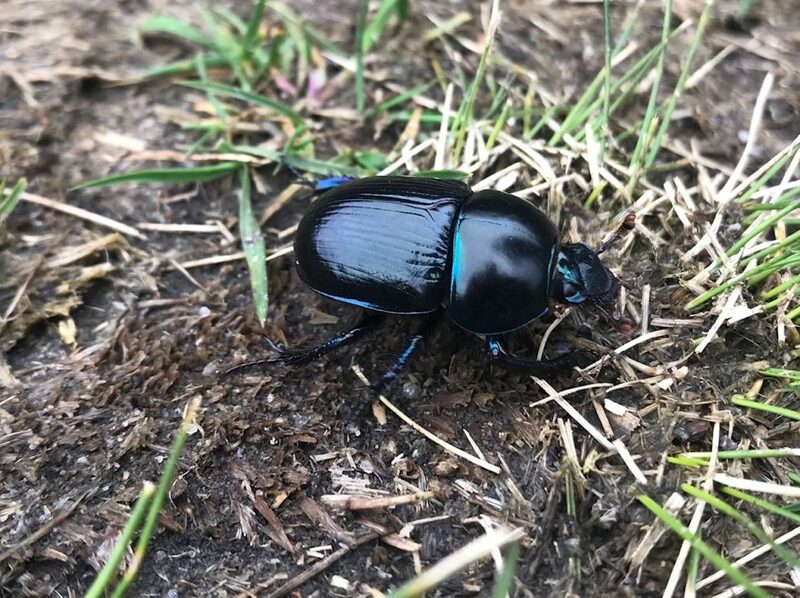 Sadly, this far, very little bird life had been encountered so we retreated to the valley floor where we caught sight of a lovely pair of Stonechats and the dawdlers in the party fleetingly saw a Red Grouse. In the woodland our luck improved with sighting of several small flocks of Siskins and a single Lesser Redpoll. Just before reaching the cars, we caught a brief glimpse of a raptor circling above the woods but what was it – female Sparrowhawk of a male Goshawk. Too late it was gone. 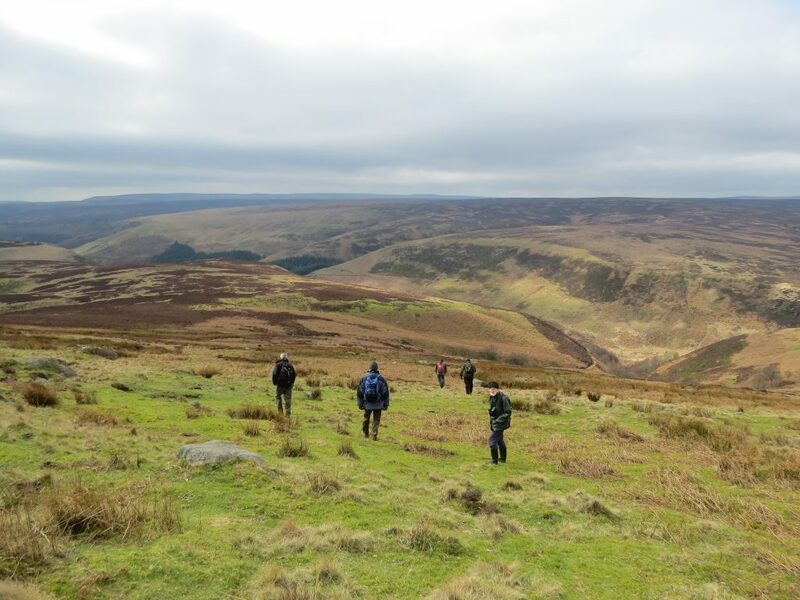 After lunch, 4 sane members of the expedition departed while the remaining 5 went for a second walk on to the moor above the nearby River Westend. The ascent was described by one individual as vomit inducing. But hey, we did get to see a pair of Peregrines carrying out their courting display. 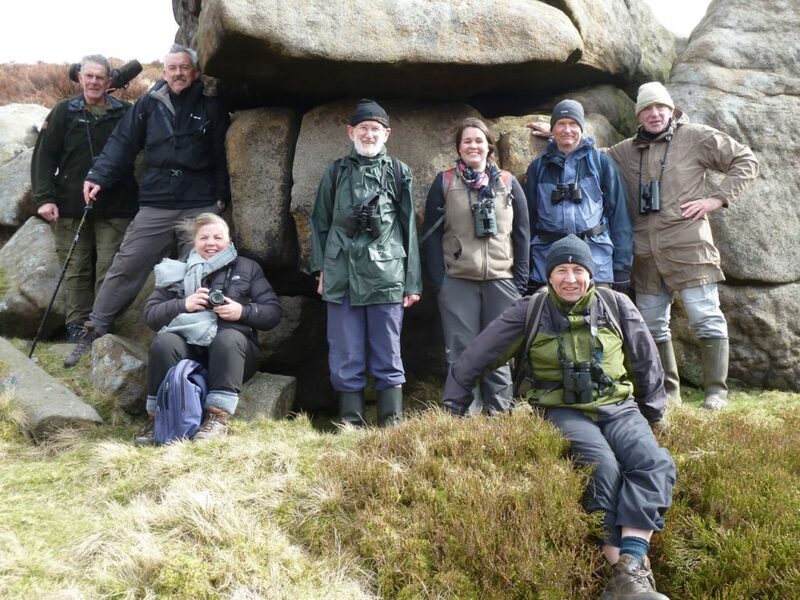 All in all we clocked 24 species plus the unknown raptor and everyone got a lot of exercise in fabulous scenery. 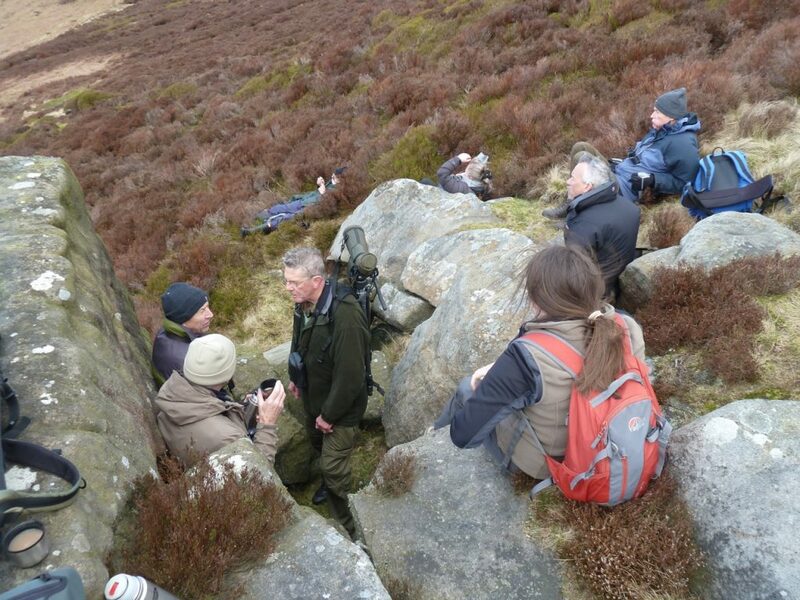 Disappointing not to see more, especially Goshawk but that’s birding.